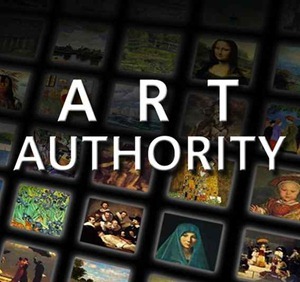 Art Authority for iPad brings the world’s greatest artists to the iPad, offering not just an incredible virtual art museum, but also just the sort of intimate and personal experience that embodies what the iPad is all about. While of course nothing can match seeing great art live and up close, Art Authority has many advantages over a visit to even the best of the world’s art museums. The biggest one of those is time. My experience is that many of the world’s greatest art museums – the Louvre, Prado, and London’s National Gallery for instance – require days to get around and even begin to discover. A lot of time and a lot of walking are needed to enjoy all that’s on display. Art Authority takes away the sore feet and the time constraints. As its App Store description declares, it is an amazing museum right at your fingertips. One that is there whenever you want to pay a visit. To say the app is rich in content is a huge understatement. 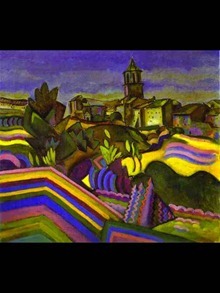 It contains works from over 1,000 of the world’s greatest artists and over 40,000 paintings and sculptures – covering periods from ancient times through to contemporary masterpieces. 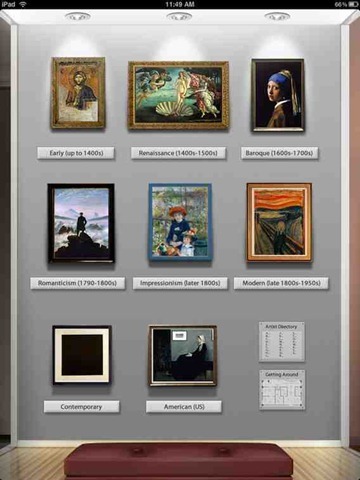 You simply tap on the painting for a period to go straight to that room. There’s also an Artist Directory, where you can look through the alphabetical listing of artists, or such for one by name; as well a Getting Around item, which contains a wealth of helpful tips on navigating and enjoying Art Authority. Each room is said to be ‘a gateway to a whole museum’s worth of art‘ – and I’ve found that to be a very apt description as I’ve browsed through all of them. 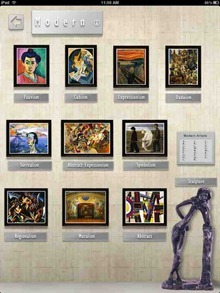 Once you choose a period, you’ll go to its main page, where you’ll see an Overview including major works of the period and a timeline, and sub-divisions and sub-genres of the period. You can tap on any of the sub-sections shown on the main period page, and see a popover listing of artists that are part of that sub-section (again, with the ability to search as well). While viewing the works of an individual artist, you can swipe through their works one by one, tap to select an image from a scrollable thumbnail view, or sit back, relax and take in a slideshow of all their work. When you get down to admiring individual paintings and works, they are displayed on textured walls. 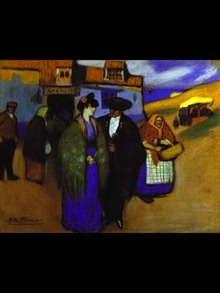 Each shows the period, artist’s name, title, date, and other details. 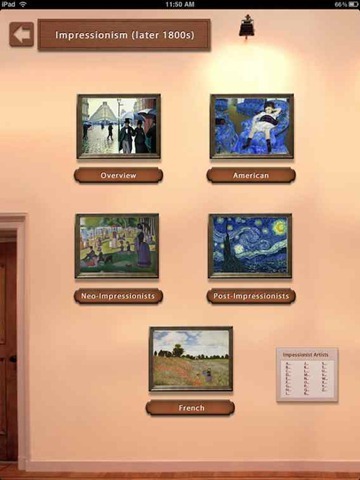 The virtual museum theme and the paintings on walls are done exceptionally well. You can also tap on an image to see it full screen, without the wall details. No matter which artists or periods are your favorites, you’ll find tons of great art to enjoy. 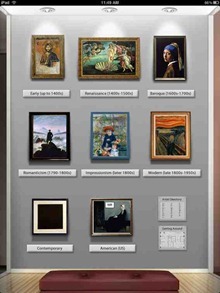 If you want to learn as you go through the virtual museum, there are (quick-loading) links to details of each artist’s life and works. Art Authority provides a stunningly displayed, carefully selected, well organized view of the western art world. 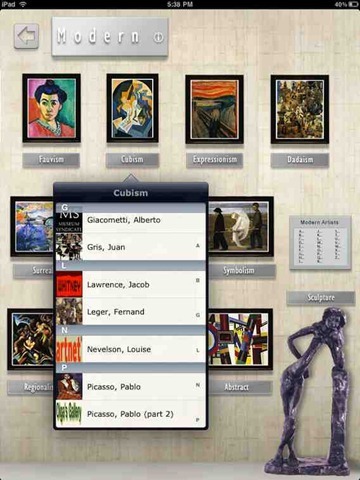 It’s part world-class art museum, part academic reference library and part digital coffee-table book. It’s also part magic. An art museum like no other! This is a true flagship app for the iPad. 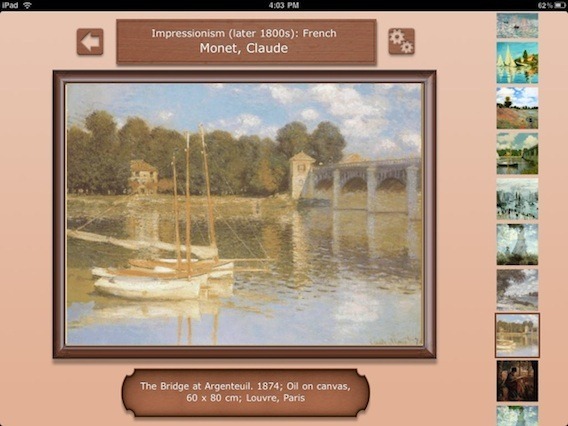 One that should provide many hours of rich enjoyment, as well as a wow factor for any of your friends who want to see examples of outstanding iPad apps. If you have kids who have any interest in art, it is a superb educational tool as well. Just a wonderful app all the way around. *** This app was independently purchased by the post author in the iPad App Store. For further information regarding our site’s review policies, please see the "About" page. Looks like a great app! Really well done, too. I like the idea, though was initially hesitant. Then I read "Save works to the Photos app and use them in the digital picture frame and home screen wallpaper" and think I will have to buy it. Not that I couldn't find many of the pictures with a simple Google search, but the key is that I didn't know what I was looking for before. So I can just browse and pick ones I really like. You should probably get a commission, as this is a wonderful review that sold me on an app I'd never heard of or would have ever thought I needed. Thanks! Thanks for the very kind words Lucion. It really is a superb app. This one looks amazing. I didn't know that there are still more great thing you can do with ipad. Thanks a lot for sharing useful information. Excellent post!! Very informative… Looking for more posts like this!! Do you have twitter or an RSS feed? Patrick – many thanks. I fully agree with your assessment, and have recommended on App Store that potential purchasers read your review.